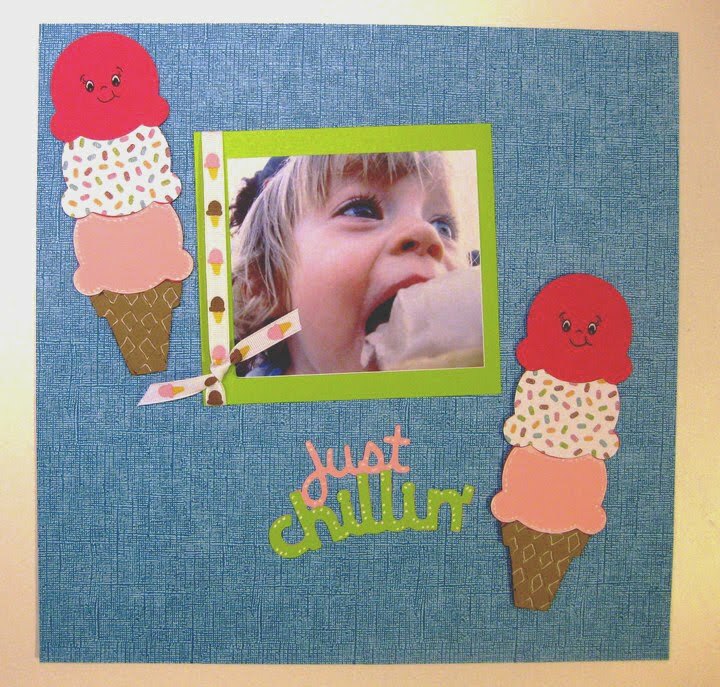 Jinger from Provo Craft was hosting a Ice Cream layout contest last night on Facebook, so I jumped in and put together this layout last night. It was a quick project, but I love participating in challenges not just for the prizes, but to push myself to get some projects done on a deadline. Have a great Thursday everyone!